This entry was posted on Tuesday, May 22nd, 2018 by Frances Ryan. At the start of the year, I set myself a gentle running goal: A simple sub-30 5K. I chose the goal because I knew it was manageable with a bit of work—but not so much work that I was pushing myself too hard to meet the goal. After all, I only needed to shave 2-2.5 minutes from my slow times. After getting sick towards the end of January, and spending the whole of February recovering, I wasn’t certain that the goal would be as easy to meet as it was. 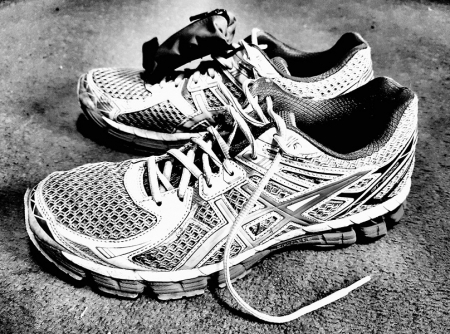 However, I laced up my running shoes in March and managed to build up a bit of strength by early April. By the end of April, I knew that my goal time was close. I was regularly running a sub-31 5K and I was feeling stronger and stronger as my running became more regular. In fact, by my Mum’s birthday (April 29th) I had hit a new old-age PB* with a time of 30.12.7 so I knew my goal was in sight. I have decided that I will take my time with my new goal. I won’t just push myself to go a bit faster over the next couple of weeks. Instead, I am going to work on my overall strength for a bit, without worrying about my time. That means that I will work on some of my running techniques by doing pace work, fartleks, and other exercises to improve my well-being. If all goes well, I will not only hit my new sub-29 goal, but I will be moving the goal post a couple more times over the course of the next seven months. And maybe, if I manage a strong enough finish to 2018, I will be ready to re-enter the world of marathon challenges in 2019! * By old-age PB, I mean my running times post-40 years of age, post-broken ankle, and the inevitable deterioration of my health, in part because of my kidney disease. For the record, my lifetime 5K PB is 17.31 (at the age of 17). I have no realistic expectation of beating that time, and I am OK with that.